Congratulations to Narendra Modi and the BJP on winning the largest democratic election in human history. And what style. Modi won by a roaring landslide, fair and square. A listless Rahul Gandhi, the Congress Party, and all other comers were obliterated in 2014, quite possibly breaking the Nehru/Gandhi dynasty’s iron grip on national politics for good after 70 years and four generations- although many Indians believe that talk of the dynasty’s demise is premature. 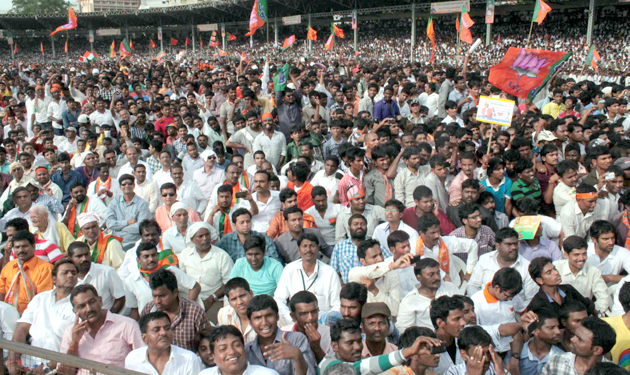 The BJP arrives to power with an unquestionable mandate from the people of India. Now comes the hard work of governing the world’s largest democracy, and among the messiest ones at that. Today we are going to contemplate what may come from this historic moment while Modi takes the helm of India’s gigantic bureaucracy, including the halls and apparatchiks of a foreign ministry that will be spending much of its time working with and against the United States. As my grandmother often said, we are knee-deep in the Kali Yuga, or age of destruction. We live in Summer 2014, a moment in time when it feels as if things are falling apart all around the globe. The world will be watching to see what happens with India’s latest experiments with truth, not least because India is a rising power in an uncertain terrain. There are no two nations on this planet, now or back through the history of nations, who have ever failed so dramatically to live up to the potential of their relationship, thanks to an inexplicably large gap between the cooperation that should exist based on common interests and shared values, and the cooperation that exists in reality. There is a mysterious hand, the inexplicable driving force of U.S.-India relations; an epic tangle of crossed lines, mistrust and confusion that would require a herculean task to understand, let alone unravel. And yet it all defies common sense. I want to believe it’s racism from both sides just to arrive at a neat narrative, but I don’t think the answer is so simple. Meanwhile, the ramifications extend far beyond the two nations. I am not the only commentator to say such things, but it bears repeating. The United States and India are by no means enemies, but calling them true allies is also a stretch. They fall into some cloudy middle ground. So now we come to Prime Minister Modi, and whether he is the man to help crack the U.S.-India nut. Much has been made of his entry visa ban with the United States, but this no longer matters. Modi is now a head of state. He will be coming to visit the United States in September without hindrance. Whatever hurt feelings may have existed before, I doubt that he would let them shape policy now that he is in higher office. The Man, The Myth. Before Modi won the 2014 election, he had captured India’s collective imagination for more than a decade, and he did so from an interesting background. In many ways Modi’s ascent reminds me of the fondness elicited by John F. Kennedy or Ronald Reagan on the American side during their rise to political power. Modi’s ardent fans in India, including some of my own relatives and friends, rave about him. However, Modi rose to his current heroic stature without having inherited or made boatloads of money like America’s Kennedy or Reagan. Most of his reputation has been earned through merit on the political stage. Modi seems to be defined by his deep-rooted religious beliefs, a relentless self-discipline intertwined with those beliefs, and his bureaucratic competence especially in economic matters. Narendra Modi has embraced new technology with full force for his state and for himself (check out his Twitter account). Gujarat’s rise toward becoming one of India’s most developed states from a lagging position of poverty and corruption are well-documented and impressive. However, a dark shadow hangs over the meteoric rise shared by Modi, Gujarat, and the BJP in recent times. He’s a Riot. It is impossible to dissociate Modi’s accomplishments from his largest failure as a politician, the 2002 Gujarat riots. We don’t need to go into the murky details, but one thing is clear: the Hindu-Muslim pogrom of that year resulted in the brutal murder and maiming of thousands of people in sectarian violence the likes of which India has not seen often in the last 50 years. A grand majority of the victims were Muslims. At worst, Modi was complicit along with much of the state’s security resources in allowing the slaughter to continue unabated for days. At best, Modi was woefully incompetent in stopping the pogrom despite being Chief Minister with ample resources at his disposal. Modi’s Hindu brand of nationalism led many dispassionate observers, including the U.S. government to arrive at the former, darker conclusion. 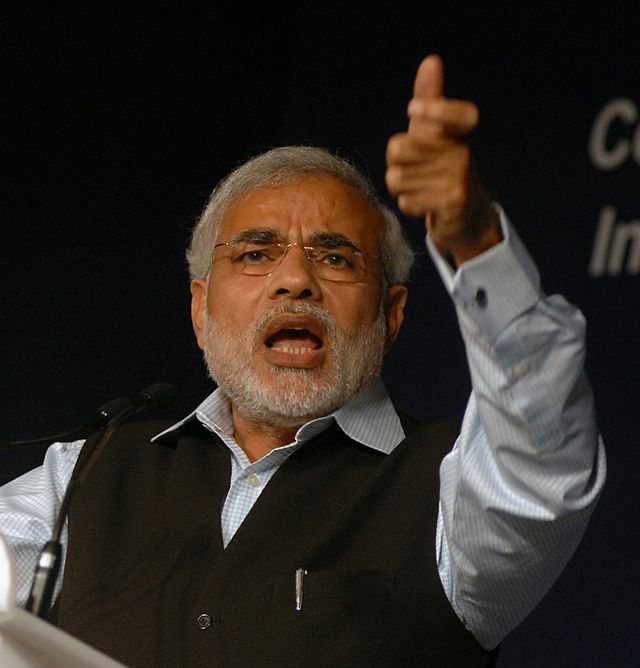 American officials led an unusual movement to place a visa ban on Modi under the Immigration and Nationality Act, which was in force right up until the 2014 election. On the other hand, India’s Supreme Court conducted a battery of investigations and found Modi to be innocent of criminal wrongdoing. Regardless of people’s strong feelings about Modi’s handling of Gujarat in 2002, he would be committing political suicide on the national level if such a sectarian outbreak were allowed to fester anywhere in India on his watch. Therefore we do not think it is going to happen again. New Delhi So Far We have just passed Day 60 of a new administration in India. The inauguration ceremony held on May 26, 2014 represented an auspicious start. Every SAARC nation’s leader was in attendance, including Nawaz Sharif of Pakistan. This gesture of goodwill was especially significant given justified worries of Hindu-Muslim tensions, which cannot be extricated from India-Pakistan angst. 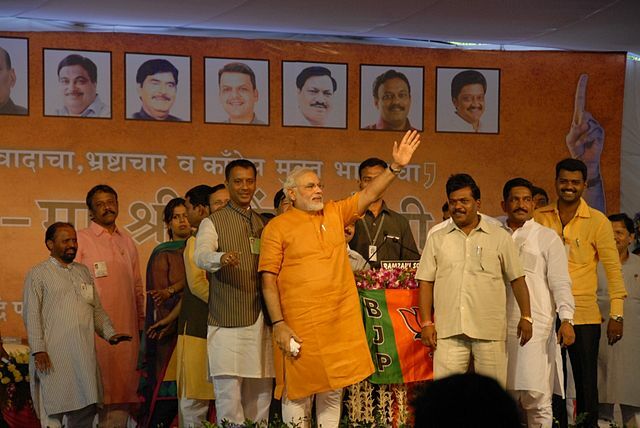 Can Modi’s leadership lift India to the proverbial next level? Most Indians cannot picture or agree upon what that next level would look like, but those of us who are on the outside looking in can venture a guess. It could look a lot like a country that closes the gap with China economically and militarily, as a democracy. It would be a shining example for the world and very much in America’s interests too. But right now the gap is embarrassingly large on both counts. China’s economy dwarfs India’s on nearly all indicators. As urgently for India’s leadership, China’s armed forces would rapidly and soundly defeat India’s defenses in a conventional war if the United States and Russia stayed out of the way. Everyone knows it. Hell, just 10 driven terrorists on 26/11 were able to bring the nation’s leading city Mumbai to a standstill for days due to India’s poor national security capabilities. This is an entirely unacceptable situation. Meanwhile, India’s nuclear weapons arsenal is a powerful deterrent, but China’s stockpile is far more robust. As expected, Modi has acted quickly on national security. He appointed a revamped security team during his first week in office. He has also made clear to Nawaz Sharif that India will no longer tolerate terrorism originating from Pakistani soil. Most of India’s neighbors in the region would be OK with a more muscular Indian military. China and Pakistan would not. Managing this inherent conflict course without a flareup will be an important task for the new government. On the economic front, Modi created the slogan, “India is open for business.” Indeed, a number of glitches exist in India’s international trade regime. Disputes over protectionism abound. Tied closely to that, GDP growth has stalled from close to 10% just a few years ago to less than half of that, which is devastating for an emerging India. 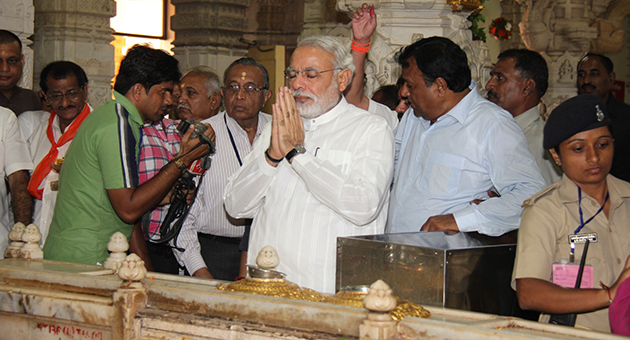 It is hoped that the new government will address those problems as effectively as was done in Gujarat. Meanwhile, Modi has already begun using his office to change the stagnant culture of Indian government. Corruption looms large in Indian government at every level, but Modi has been certified clean by all accounts. He seems to expect the same from all of his departments. He has also circulated policies about efficiency, such as picking up the pace, eliminating redundant work, re-assigning the infamous bureaucratic gatekeepers and lackeys, and allowing junior level staff to voice ideas. These may seem unremarkable in the West, but they are revolutionary coming from the Indian Prime Minister’s office. US-India Relations Under Modi. And now we come to Modi and America. Will we one day look back on this time as the point where US-India relations finally turned the corner, when the two nations at last achieved the grand potential of their partnership, ushering in an era of prosperity and peace for both nations? Don’t hold your breath. Modi’s rise in Gujarat could not have coincided with a more contentious interchange with the United States. In fact, the visa ban represents the only time that the U.S. government invoked the Immigration & Nationality Act to bar someone from visiting. This outraged Modi and his legions of followers in India, America, and elsewhere. It was also a bit bizarre for the United States to meddle in a North Indian state’s internal affairs. Perhaps it was a bad start. Will bygones be bygones? Diplomatic activity in just a few key areas will answer that question best. On trade, the results are mixed. Western media outlets such as Bloomberg are not highly impressed with India’s continued protectionist stances well into Modi’s new term. A big potential prize especially for Americans is changing the rules for foreign direct investment (FDI) in retail, but the policy seems to be at status quo from the Singh administration. The administration is leaving this decision up to the states. But real progress, at least from foreign points of view, may be afoot. The FDI cap in two critical industries, insurance and defense, are set to be raised from 26% to 49%. This means that a non-Indian business partner in those industries can own up to 49% of joint ventures. Modi is coming to America in September, and at the top of the agenda will be trying to reach an agreement on the US-India civil nuclear agreement, which has been stalled for years due to disagreements on liability for U.S. companies. This is an entirely ridiculous issue, and both sides share blame for being unable to move forward on a topic that has had precedent in other countries for decades. While both sides seem to be saying the right things on nuclear cooperation, words are not enough. On the American side, a pressing problem continues to be immigration policy. While the immigration debate in Washington appears to be stalled and out of President Obama’s hands, he has not devoted enough time and resources to the issue to effect change on it despite bipartisan support for the Indian position. There is a severe shortage of work visas being granted to Indians, and both sides lose as American companies miss out on highly qualified hires by the thousands every year. Another related problem is that Indian immigration is conflated with that of other countries despite its unique circumstances. Congressmen, State Department officials, and the White House talk endlessly about this issue without any progress on policy. Which brings us to the larger issue at hand. Secretary of State John Kerry has used flowery words like “historic opportunity” in the last few days to describe India and the desire of U.S. leaders to improve the relationship and bring the nations closer. Hillary Clinton used similar vernacular before him as have President Obama, Vice President Joe Biden, Senator John McCain, and others whenever they visit India. Indian leaders including Modi also state the goal of wanting to improve relations with America. Time and again, action does not match the rhetoric. State visits and US-India strategic dialogues come and go, but little changes or improves in government-to-government cooperation. The mysterious hand is still in the way. The trust is not there. We will have to see if Modi’s visit in September can break that dynamic. People on both sides of the planet hope that Modi brings his workman’s attitude to the U.S. policy table. It’s badly needed at this time. Obama and Modi have a lot in common. After all, Obama came into office with impossibly high expectations too. Meanwhile, the responsibility for keeping the U.S.-India friendship strong will continue to fall on the private sector, academia, and culture- which we said last year, and the year before that. Let’s see if next year is any different. Posted on July 30, 2014, in Politics/Diplomacy and tagged Modi, Obama. Bookmark the permalink. 1 Comment.